Today ESIC has issued an official Notice regarding Skill Test for UDC Posts. The Computer Skill Test (Part – II Exam.) for recruitment to the post of Upper Division Clerk (UDC) is tentatively proposed to be held in the month of June, 2017. 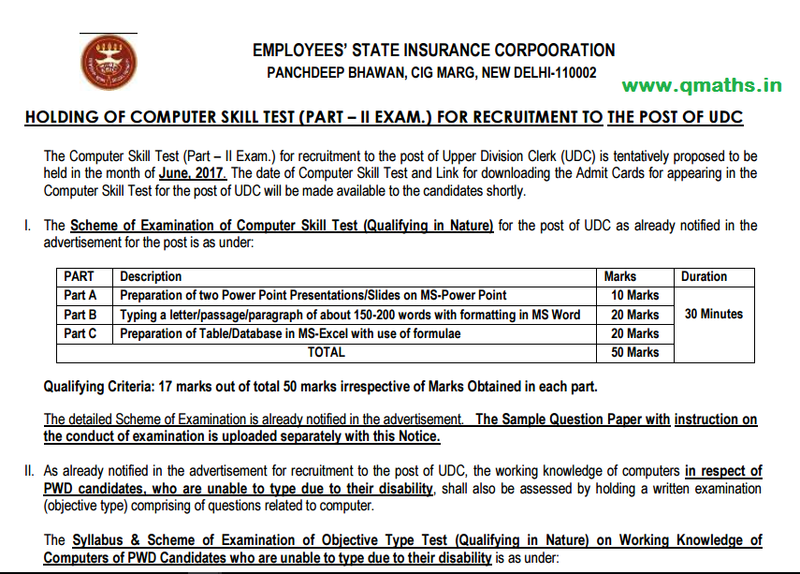 The date of Computer Skill Test and Link for downloading the Admit Cards for appearing in the Computer Skill Test for the post of UDC will be made available to the candidates shortly.